The National Safety Stand-Down to Prevent Falls in Construction was last week (May 7-11, 2018). 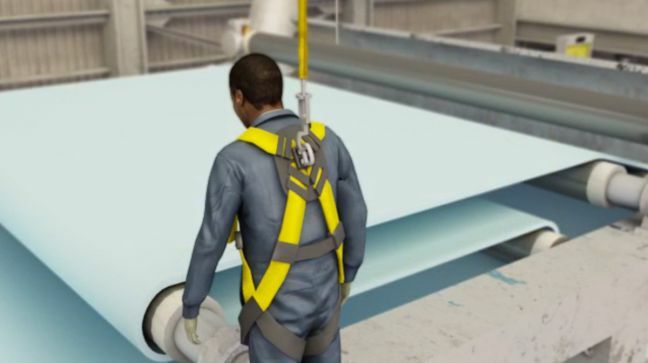 In this article, we’ll review what a safety stand-down is, why we have them, and how we can help prevent falls and especially fatal falls in the construction industry. I was lucky enough to attend a special Fall Prevention training course offered by the University of Washington’s Department of Environmental & Occupational Health Sciences and their Pacific Northwest OSHA Education Center that was timed to coincide with the Fall Prevention Safety Stand-Down. In addition to the experts with UW-DEOHS/PNWOEC, there were other experts from industry (AGC), Oregon OSHA, Oregon Fatality Assessment and Control Evaluation (OR-FACE), and more. In short, it was a rock-star-studded event. And so in the article below, we’ll also give some credit to all those fine presenters and highlight some of what I learned there. In addition to this blog post, watch for one or more blog posts related to fall prevention to follow shortly. As always, we hope these articles help improve safety at the workplace, and that’s especially true in fall prevention, where the need is so great. Let’s start by discussing why we have these events every year. That high level of fatalities seems reason enough, right? Companies can conduct a Safety Stand-Down by taking a break to have a toolbox talk or another safety activity such as conducting safety equipment inspections, developing rescue plans, or discussing job specific hazards. Managers are encouraged to plan a stand-down that works best for their workplace anytime May 7-11, 2018. Of course, that list is for last week, so we offer the list here simply to remind you this is a possibility when OSHA does the stand-down again. Finally, OSHA encourages you to share your own stand-down successes and stories with them. You can do this by writing them an email at oshastanddown@dol.gov and/or by sharing your story on social media and using the #StandDown4Safety hashtag. Once you’ve read this article that deals with fall prevention in particular, if you’re still interested to learn more, check out our article on Preventing Occupational Fatalities. As I mentioned earlier, I was fortunate enough to attend an event myself this year (I also attended a similar fall prevention safety stand-down put on by the same safety experts last year as well). Jamie Viramontes, Civil Consulting, Inc.
Below I’ve included brief overview of (some of) the things they talked about. As always, Harvey was a wealth of information and provided a bunch of additional helpful materials. If you live in the Pacific Northwest (US) and haven’t yet caught Harry presenting on safety issues, do yourself a favor and try to. Harvey presented data showing that older workers (people in their 40s and 50s, like myself) fall more and are injured more than younger workers. We had some interesting discussions about why this might be, but we didn’t prove anything at the end of the day. Harvey also presented data showing that supervisors fall more than the rank and file workers do. You’d think they’d know better, right? Again, we had some interesting discussions as to why this is, including some guesses that supervisors do the work that they think is too dangerous for other workers, but we proved nothing. I’m guessing there’s some Venn diagram-style overlap between the supervisor and the older worker issue mentioned earlier. A number of people mentioned that younger workers put themselves at risk while working at heights because they were young and felt invulnerable/immortal. I was interested by this because it didn’t match with the fatality data Harvey presented, which suggests that it’s the older, supervisory crowd that’s a problem. Again, we didn’t get any final, proven answers here. It would be interesting to see some of these demographics broken down into fatality/injury per worker figures. There was a sense, definitely in last year’s class and I am pretty sure in this year’s class as well, that a lot of younger workers who were entering the field spoke Spanish as a primary language and/or didn’t speak English as a primary language, and as a result weren’t able to receive training that they understood. This makes sense, and we all agreed we can do better, by providing training in multiple languages. I know that last year we discussed that an overall increase in construction has led to a growing construction labor force, and that has led to an increase in workers entering construction without previous experience, and that those new workers simply don’t know what they don’t know (and as a result are more likely to hurt themselves). I’m assuming the same is true or largely true today. The big takeaway here is we have to do a better job of training workers, especially workers who are entirely new to the field, regardless of issues like age and language. Watch our blog for some articles related to some of the fall prevention topics Harvey addressed. Nancy Simcox gave a very interesting talk related to safety (and other issues) that women who work in the trades face. Nancy’s talk drew upon research from Safety and Health Empowerment for Women in Trades (SHEWT), which is housed under the UW’s Department of Environmental and Occupational Health Sciences. There’s a LOT to unpack in this study, and I’m fascinated by it. Nancy was kind enough to connect me to Noah Seixas, the Principal Investigator of the SHEWT Study, and Hannah Curtis, the Research Coordinator for SHEWT, and they’ve kindly agreed to participate in an interview to be published here at the Convergence Training blog soon, so keep an eye open for that and we’ll get into a lot more detail. For now, and to keep things related to fall prevention, it’s easy enough to see how women may face specific safety issues that men don’t in regards to fall prevention, such as getting a fall protection harness that fits them well. It’s a good reminder that we have a diverse workforce, and that we have to keep the specific needs of all our workers in mind when we’re thinking of safety, including needs for PPE. Barb Epstein or Oregon Fatality Assessment and Control Evaluation (OR-FACE) talked about a toolbox talk program they’ve put together and let us know where we can get resources to help us improve our own toolbox talks. Go here to find their existing toolbox talks for various industries/safety needs, which you can download for free. And yep, they’ve got toolbox talks specific to the construction industry and that deal with falls, so they’ve got you covered there. That web page also includes a way for you to sign up for their newsletter so they can send you new toolbox talks when they’re created. In addition to the toolbox talks, I was quite interested in their work on fatality investigations. You can go to this website to read more about their work on fatality investigations. Also, know that I’ve reached out to Barb and we’re seeing if we can have her or someone from her organization do an interview here on that topic. So keep your fingers crossed on that, keep your eyes open, and until then read our recent article on preventing occupational fatalities. There were a number of detail-oriented, nitty-gritty questions asked (and answered) during this session. Suffice it to say we learned a lot. One of the best additions to this year’s class that didn’t happen last year was a series of four workshops in which we got out of our seats and got to see fall prevention gear and demonstrations of that gear. This was a good addition to the course. I look forward to seeing this part of the course next year with even more improvements. Training experts all agree that people learn better when they get a diverse collection of training experiences. In fall prevention, for example, this might include instructor-led classroom training, online training, hands-on training, field-based training, refresher training, performance support, and more. Here’s a quick sample of our Online Fall Prevention & Protection Training Course you could use as part of your blended learning solution for fall prevention training at work. Your big takeaways here are that (1) too many people are being injured or killed as a result of falls from heights at work, (2) we can and should do better, and (3) the National Safety Stand-Downs are great not only for raising awareness but for providing resources and experts to help us reduce these fall-related injuries and fatalities. I’d like to say a personal thank you to all the people who played a role in putting together the Fall Prevention/Protection course I attended, I hope I can attend again next year, and I hope we’ll all see some additional blog posts featuring interviews with some of the people I mentioned above. Let’s close by all agreeing to keep working hard (and perhaps differently) to prevent injuries and fatalities as a result of falls from heights. 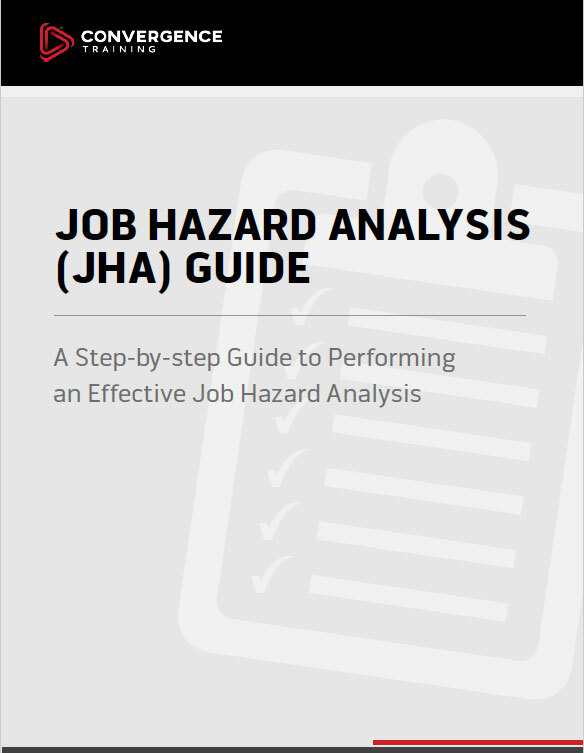 Before you leave, feel free to download our free guide to performing a Job Hazard Analysis (JHA). Hope you find it helpful.